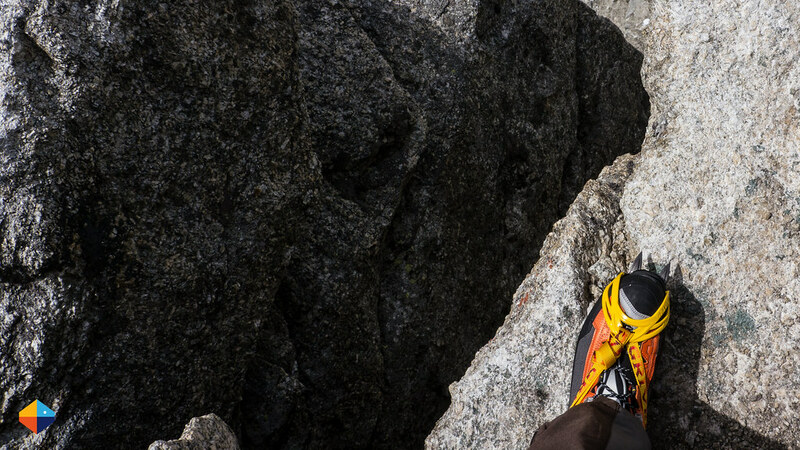 A shoe that lets you climb almost like Ueli Steck: The Rebel Ultra GTX from Scarpa. 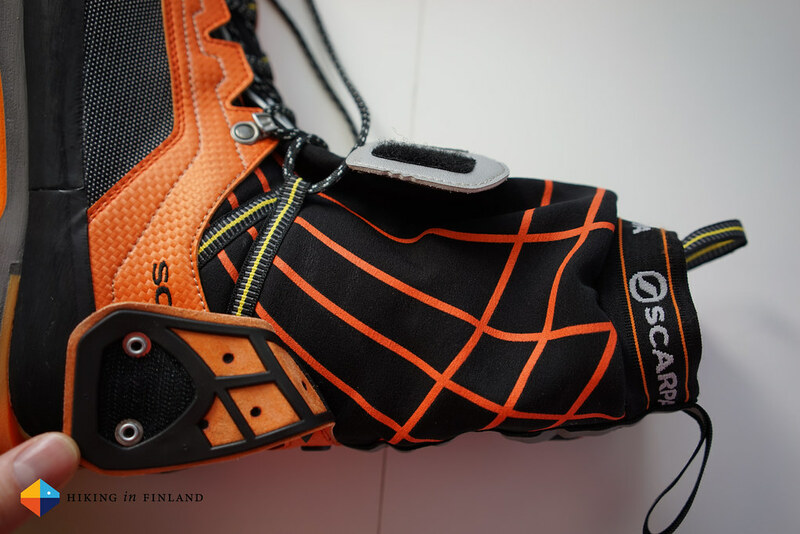 I received the Scarpa Rebel Ultra GTX over a year ago in November 2013. I climbed ice in Korouoma, Vaasa and Abisko with them and was mountaineering in Chamonix and the Polish Tatras. 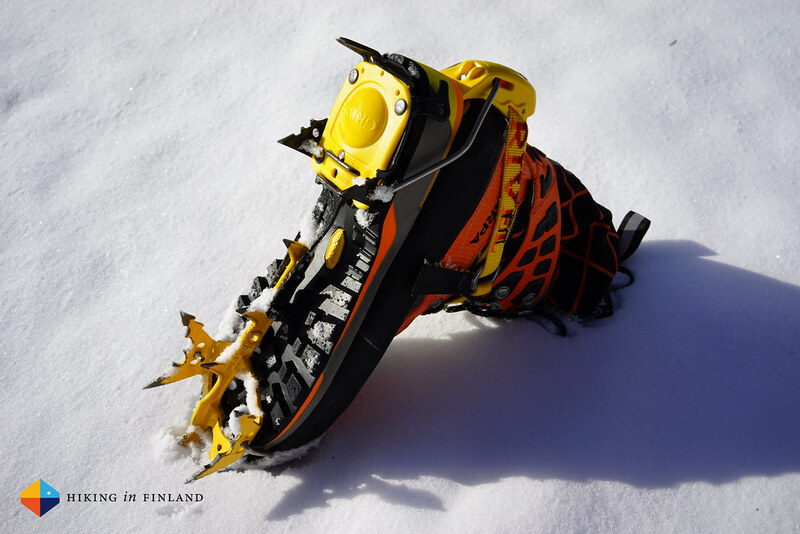 All in all they have seen over four weeks of use and have been used for ice climbing, mountaineering and hiking. 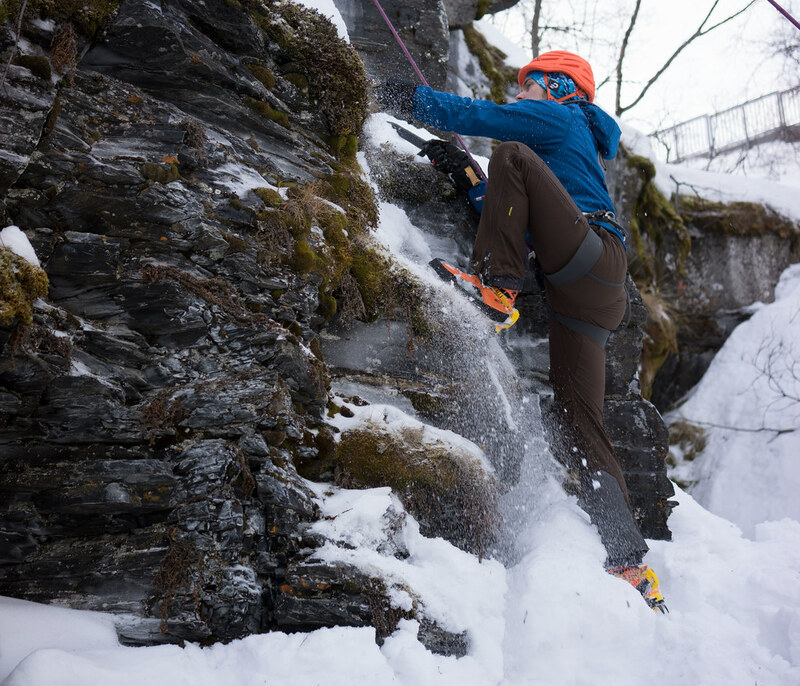 Similar to the Scarpa Rebel Ultra the Rebel Ultra GTX is made for technical mountaineering, rock climbing and speed climbing on ice & mixed terrain with snow. It can be used with a wide variety of crampons. 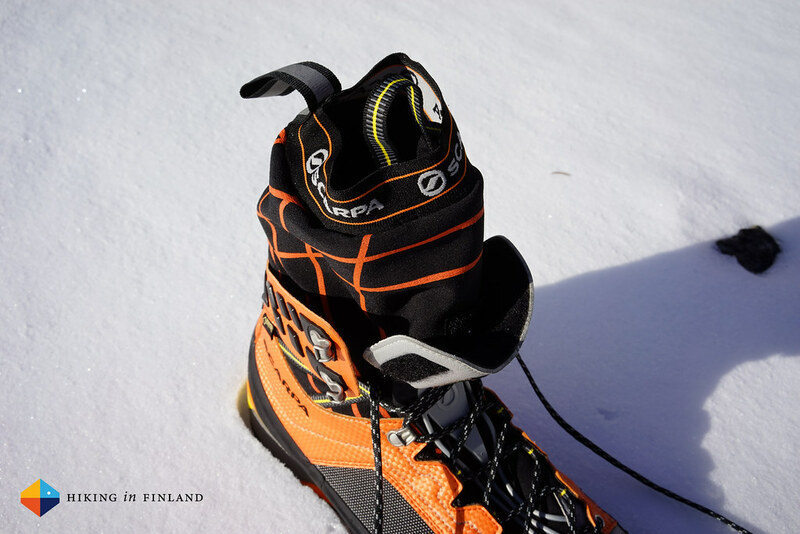 Again Ueli Steck has helped to develop this boot, and you can see it from the weight and the technical features. While the sock-gaiter-construction isn’t new I have not seen a lot of mountaineering boots which use it. The Y-Structure, KCN-Tech fabric and Re-Active AC XT sole stand out on this booth, as does the very good fit & the light weight. The shoe is hand made in Italy and is from a quality point of view absolutely superb. The fit is impeccable and even after four weeks of hard use the boots still look like new. Only the reflective tape in the back of the shoe shoes some wear, otherwise boot and sole still look like new. 773 g per boot in Size 42,5 or 1.546 g for the pair. The boots are hand made in Italy. If you have worn it out you could have it resoled at your local shoemaker or you can recycle it via your local recycling scheme. Ice & Mixed climbing I did with the Grivel G20 crampons to the boot and it’s a fantastic combination. The G20 are 424 g per crampon which means one shoe & boot are 1197 g, which is about 150 g lighter than with the Phantom Ultra boots on. This might seem trivial but feels like a big difference. What I enjoy most with the Rebel Ultra GTX is, however, the freedom of movement my feet have in them. I can pretty much fully move my feet like I could in a trailrunner, with the difference that I can connect a pair of crampons to them and climb ice with them. 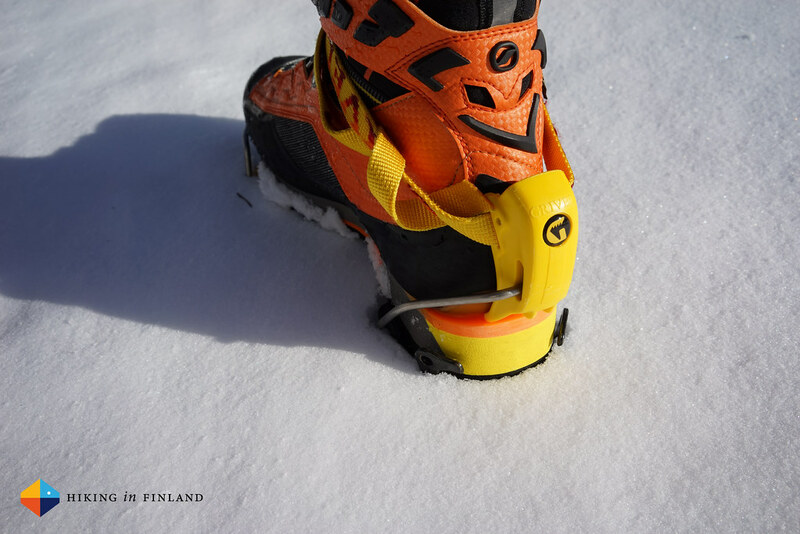 This is especially useful for mixed climbing, but also on more tricky ice climbs in narrow places this freedom of movement helps in better foot placements. The high sock works like a gaiter & keeps water and snow out and the carbon insert makes the sole nicely rigid for climbing. In short, the climbing in them is great, I really loved the freedom of movement they gave me. The last winter was super mild and I wasn’t able to test the boots in severe cold weather, but the -5°C I used them in, often while standing around on snow and ice, where no problem for them and I had warm feet and toes in the boots. When constantly moving one might be able to wear them in even colder temperatures, say to -10°C, but beyond that I reckon they will be not warm enough and it’s better to put a warmer boot on. One option that I haven’t tried is using an overboot with them in colder weather for a little bit of extra insulation, though I almost think that just using a warmer boot would be lighter - though less versatile. Hiking in these boots is possible but really wasn’t something I liked. While they allow great freedom of movement they are lined boots, so walking from the Chalet to the Cable Car in Chamonix, a 15 minutes walk, was not enjoyable as it was +35°C in the valley, which meant I had super-sweaty feet by the time I arrived at the house. 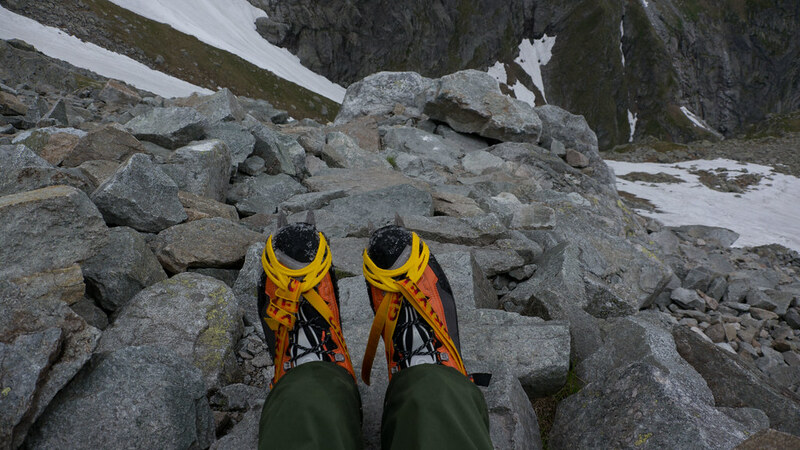 In the Tatras I hiked on two occasions with the Rebel Ultra GTX boots, once in warm weather which again was not good, and once in the pouring rain, where they were fine. I had moist feet & boots after hiking four hours in the rain in them, but they were warm so it was OK. They did also dry almost completely over night. However, when I know I need to hike long distances in the summer I would always take my Luna Sandals OSO along for it, as I much prefer to hike in warm weather in them. Mountaineering in the Alps and Tatras I did most of the time with the Grivel Air Tech New-Matic (453 g per crampon) but I also tried the CAMP XLC 390 (254 g incl. optional Antibot). 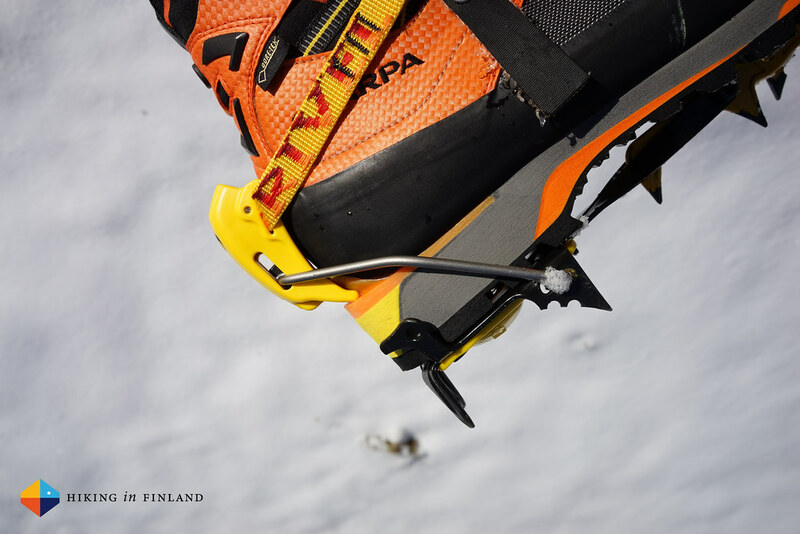 The weight difference between these two crampons is almost 200 g so not trivial. I did climb more with the Grivel Air Tech New-Matics and do like them a lot, and these two crampons show that you can use the Rebel Ultra with either a plastic harness or a front bale. 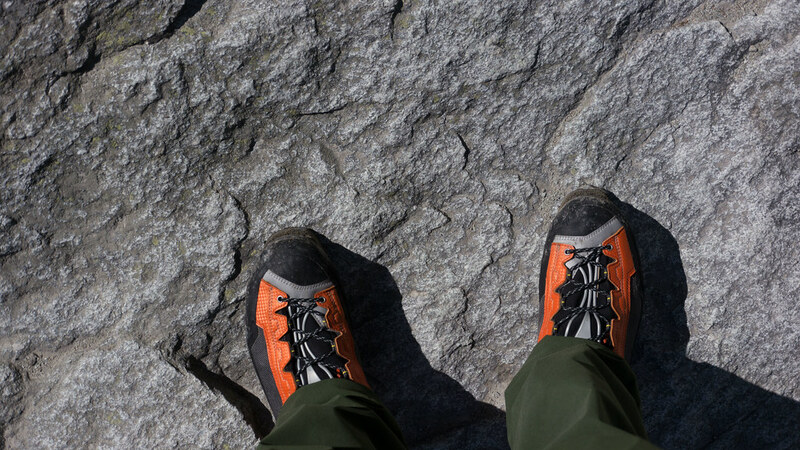 The light weight and freedom of movement of the boot of course are great for alpine climbs and the sole is sticky on rock and allows for precise foot placements. I still would switch to climbing shoes for more demanding/ technical climbs, but if it are easy routes you’re doing the Rebel Ultra GTX are more than capable. Add in good grip on snow & ice and you have a very efficient mountaineering boot. 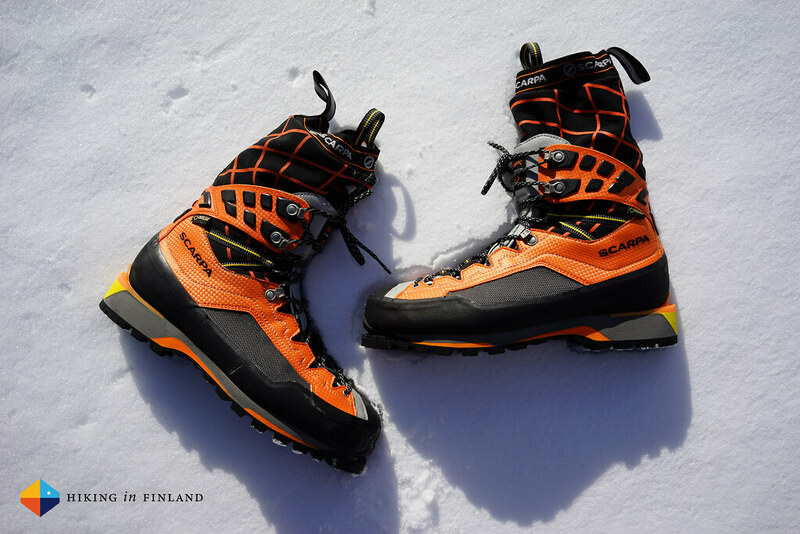 The Scarpa Phantom Ultra is a warmer and heavier boot which might attract the same people who’re curious about the Rebel Ultra GTX. 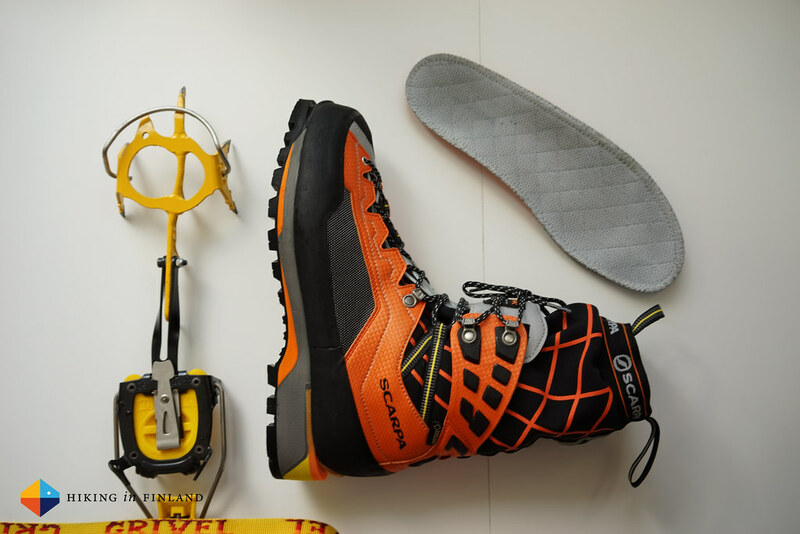 If we look at other brands the La Sportiva Trango Cube GTX and the La Sportiva Batura 2.0 GTX are both lightweight mountaineering boots which can be used for the same activities as the Rebel Ultra GTX. I’m hard-pressed to come up with something that could be better in this boot. I am sure Scarpa and Ueli had their reasons to use Gore-Tex® instead of OutDry® for this shoe, personally I feel OutDry® is slightly better at keeping moisture out, dries faster and breathes better, but I think the Gore-Tex® lining does a good job in this boot. So really nothing to complain. 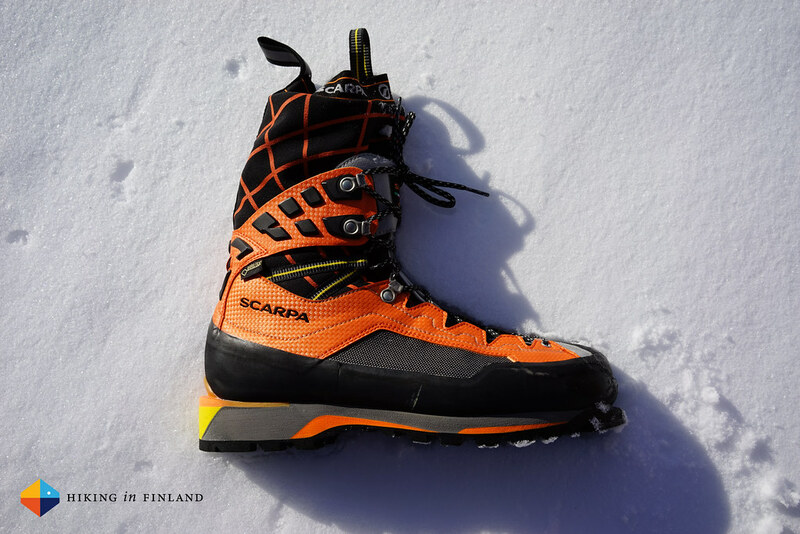 The Scarpa Rebel Ultra GTX is a beautiful and ultralight mountaineering boot that is excellent for early and late season ice & mixed climbing and summer mountaineering. It keeps your feet & toes warm till at least -5°C even if you’re just standing around in the snow or hang in the belay, and with the Vibram® sole it is also well suited for easy alpine climbs. I think if you look to up your ice, mixed and alpine climbing by shedding weight and going lighter the Rebel Ultra GTX is the right boot for you. I love my pair and am always happy to put them on, because I know a good day in the outdoors lies ahead of me with them on my feet. Some more photos in the Rebel Ultra GTX Album on Flickr. 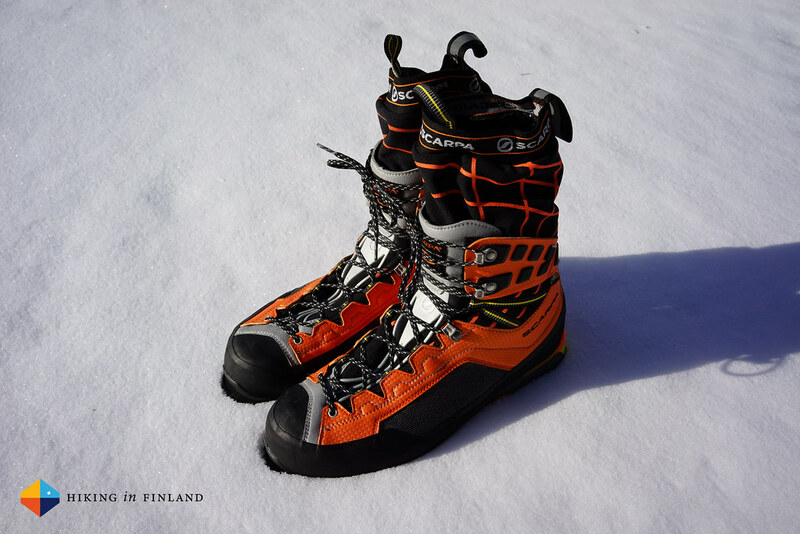 Buy your Rebel Ultra GTX Boots at Partioaitta.fi, Bergfreunde.de, Bergzeit.co.uk, Backcountry.com (Best Deal! ), Campsaver.com, Camu.fi, ScandinavianOutdoorStore.com and REI.com.